What a year! As the UK Human Rights Blog approaches 2,000 posts and three million hits since its launch in March 2010, below is a link to a summary of the year in stats. No great surprises as to the most popular posts, which track the most controversial issues in human rights. The main thing to report is that the blog remains extremely popular, with almost 1.2 million hits in 2013 alone, as well as tens of thousands of regular readers and subscribers. Thank you to the contribution of all of our bloggers, both from 1 Crown Office Row (particularly the indefatigable Rosalind English and David Hart QC) and elsewhere, to our wonderful rounder uppers (Daniel Isenberg, Sarina Kidd and Celia Rooney) and to our fantastic commenters who keep us on our toes all over social media. This year has been the toughest yet for me in keeping the blog ticking along at the pace you are all used to (I have another full time job – being a barrister), but thankfully I have just about managed it. Unfortunately, this has meant I haven’t been able to post as much as I like but I continue to be very proud of the blog’s achievements and influence. In light of the Conservative Party’s impending plans for human rights reform (which, as was pointed out by Neil Crowther on Twitter, looked to be tracking Dominic Raab’s 2010 blueprint and 2012 bill pretty closely), 2014 is likely to be another interesting year. As always, thanks to our still rather shiny Human Rights Act, there will be plenty of fascinating decisions from our courts too. All the best and happy new year to all. Click here to see the complete end of year report. Griffiths v Secretary of State for Justice (Equality and Human Rights Commission intervening)  EHWC 4077 (Admin) – read judgment. Oliver Sanders of 1 Crown Office Row represented the Defendant in this case and Adam Wagner also acted for the Defendant prior to the substantive hearing. They are not the writers of this post. Two female prisoners nearing the date on which they would be considered for release on licence, brought conjoined challenges against the Secretary of State for Justice in respect of the provision of ‘approved premises.’ The Claimants challenged the alleged continuing failure to make adequate provision for approved premises to accommodate women prisoners like them released on licence. Mr Justice Cranston rejected the argument that the limited number of approved premises for women treated female prisoners released on licence into such premises less favourably than comparable men. He held that despite the likelihood of a greater geographic separation from their homes and families, the Secretary of State had not discriminated directly or indirectly against female prisoners. However, the Secretary of State had failed to fulfil his duty under the Equality Act 2010 to consider the impact of the limited provision of approved premises of women. Welcome back to the UK Human Rights Roundup, your regular fluttering confetti of human rights news and views. The full list of links can be found here. You can find previous roundups here. Links compiled by Adam Wagner, post by Celia Rooney. This week, amidst the festive cheer, controversy over European human rights rages on, in relation to both the Charter and the Convention. In other news, the posthumous pardon of Alan Turing sparks debate over the use and abuse of the royal prerogative. The debate over the European Union’s Charter of Fundamental Rights is already mired with misunderstanding (see this and this), but amazingly Saturday’s Times (£) managed to up the stupid-quotient by another few notches. The charter enshrines a host of rights not found in other declarations, including personal, work and family relations. One of them is a proposed “right to marry and found a family”. 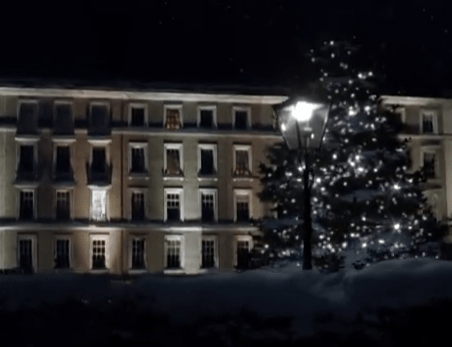 Retailer Marks & Spencer is in the news again, and not this time for its Christmas advert. The ad was, incidentally, filmed in Temple – perhaps M&S bigwigs were on their way to getting some advice on how to deal with Muslim employees who didn’t want to serve pork and alcohol? Anyway, the retailer has allowed Muslim employees to opt out of the requirement to serve pork and alcohol, both of which their religion prohibits – although it is not clear whether they are also prohibited from serving the products to other Muslims/non-Muslims. If Islam is anything like Judaism, which I am more familiar with, I imagine the practice may vary according to communities. Welcome back to the UK Human Rights Roundup, your regular raging winter storm of human rights news and views. The full list of links can be found here. You can find previous roundups here. Links compiled by Adam Wagner, post by Sarina Kidd. The Government received an unwelcome early christmas present this week, with the Joint Parliamentary Committee reporting that a blanket ban on prisoner enfranchisement had no rational basis. Meanwhile, Britain’s potentially unlawful treatment of detainees with regard to rendition and torture are coming to light with the Gibson Inquiry, and a senior judge has announced that perhaps, after the ‘forced Caesarean’ escalation, there needs to be more transparency in the family courts and Court of Protection. 1 Crown Office Row’s Philippa Whipple QC and Matthew Hill were counsel to the Detainee Inquiry. They are not the writers of this post. On 6 July 2010, in the first innocent days of the Coalition Government, former appeal judge Sir Peter Gibson was asked by the Prime Minister to enquire into “whether Britain was implicated in the improper treatment of detainees, held by other countries, that may have occurred in the aftermath of 9/11.” Almost 3 1/2 years later, the Detainee Inquiry has produced a report (it was originally presented to the Government on 27 June 2012 but there have been heavy negotiations about sensitive material in the public version). The report makes clear at the outset that it “does not, and cannot, make findings as to what happened”. Why so? Because the Inquiry was scrapped before it heard evidence from any witnesses, so it couldn’t test any conclusions reached purely on the basis of documentary evidence. The reason given at the time by Sir Peter was that “it is not practical for the Inquiry to continue for an indefinite period to wait for the conclusion of the police investigations“. The “investigations” are those into claims of collusion by the intelligence services with torture in Libya (see this Q&A for more). Elizabeth-Anne Gumbel QC of 1 Crown Office Row represented the claimant in this case. She has nothing to do with the writing of this post. In Part 1 on this subject, I discussed medical confidentiality and/or legal restrictions designed to protect the privacy of a mother and child. This case raises the question in a slightly different guise, namely whether the court should make an order that the claimant be identified by letters of the alphabet, and whether there should be other derogations from open justice in the guise of an anonymity order, in a claim for personal injuries by a child or protected party which comes before the court for the approval of a settlement. The Parliamentary Joint Committee on the Draft Voting Eligibility (Prisoners) Bill today published its report – you can read it in full here (PDF/HTML/conclusions). I gave evidence to the committee a few weeks ago – you can watch again here. Following David Hart’s highly popular review of Alan Paterson’s book on the Supreme Court, here’s an account of the recent public speeches of Lord Sumption, Lord Justice Laws, and Lady Hale. I apologise in advance for the length of this post, but to do justice to all three lectures it has proved necessary to quote extensively from each. There are links to the full text of the lectures, if you want to digest them over Christmas. But whether or not that prospect appeals, here is a challenge for the festive season. Lord Sumption divides judges into three categories: the “parson”, the “pragmatic realist” and the”analyst” (quoted by Professor Paterson in Final Judgment: The Last Law Lords and the Supreme Court). Which of these labels fit the respective speakers? 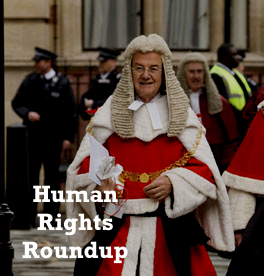 Welcome back to the UK Human Rights Roundup, your regular festive trifle of human rights news and views. The full list of links can be found here. You can find previous roundups here. Links compiled by Adam Wagner, post by Celia Rooney. This week, the Church of Scientology registered a win of sorts in the Supreme Court, while London’s biggest university said no to occupational student protests just as others were contemplating the possibility of gender-segregated talks Meanwhile, the Home Secretary puts forward her answer to modern day slavery, while the Joint Committee on Human Rights puts pressure on Chris Grayling regarding the proposed legal aid reforms. The lecture summarises a wise, perceptive, and at times funny work of scholarship, and this post is an unashamed plea that you read the book as well as the lecture. 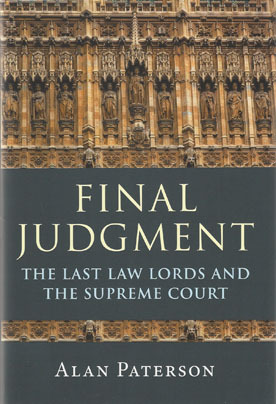 The book is based upon over 100 interviews with Law Lords, Justices and counsel. Paterson is particularly well-placed, having carried out a review in the 1970s with 15 then current or former Law Lords and 46 counsel. 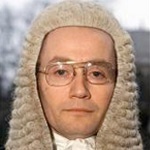 He has also looked at the judicial notebooks of two of the outstanding leaders of the judicial House of Lords, namely Lord Reid in the 1960s and 1970s, and Lord Bingham in the 2000s. These notebooks contain not only records of counsel’s arguments, but also details of what the Law Lords or Justices thought at the end of the “first conference” held immediately after the oral hearing. And the revelation was that in many important cases the judges’ view shifted between that conference and the ultimate decision, often with a critical impact on the outcome. One of the particular interests of the book is to follow through the big cases of the last years, and see how the judges ended up where they did. The Court of Appeal has ruled that continued detention in prison following the expiry of the “minimum terms” or “tariff periods” of their indeterminate terms of imprisonment did not breach prisoners’ Convention or common law rights, but has left it to the Supreme Court to determine the substance of the Convention claims in detail. The appellant prisoners claimed that their continued detention breached the Article 5, and in one case Article 14. 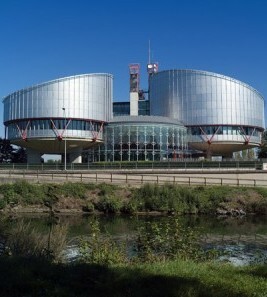 The courts at first instance had been obliged to dismiss the claims under Article 5 in the light of the House of Lords decision in R(James and others) v Secretary of State for Justice  UKHL 22,  1 AC 553, notwithstanding that Strasbourg subsequently held in James, Wells and Lee v United Kingdom that the House of Lords decision was wrong. I don’t usually post about court procedure, but as any lawyer knows, a failure to comply with what may seem like boring court rules can lead to a case being struck out before it even begins – this is what we in the trade call a “bad outcome”. In the UK context, see this terrifying recent Court of Appeal judgment.